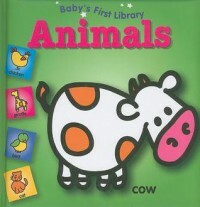 Baby's First Library Animals - M's blog. Didn't like the font choices & colours. I don't think kids are gonna care. However, this is just my personal opinion.